TS Freight offers its clients a plethora of cargo shipping to France services, each customized to suit your specific time and budget needs. 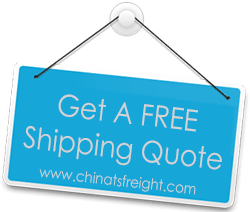 We offer complete assistance when it comes to import from China to France – handling pick up, packaging, documentation, custom clearance, overseeing loading and unloading, as well as door to door delivery services. Our air and sea freight cargo shipping to France services include nationwide coverage to cities like Bordeaux, Paris, Chartres, Avignon, Marseille, Vauban, Honfleur, Caen and more. We will coordinate for pick up of your cargo and ship it from any of the major cities in China like Tianjin, Dalian, Shenzhen, Guangzhou, Shanghai, Xiamen, Ningbo, Hangzhou, Hong Kong etc, based on your convenience, or time and budget requirements. You tell us what you are looking for, and we will be happy to create a customized logistics plan offering end to end solutions for imports from China to France for you. Our expert staff will spend time with you in order to understand the exact nature of your business, so that we can chart out the fastest, cheapest and safest cargo shipping to France transport plan for you. We have good relations with all major sea and air freight transporters, which is why we are able to get you the most cost effective solutions for your shipping needs. We understand that for your business to run smoothly, you need to depend on freight service providers who don’t take their jobs lightly, and are as efficient as can possibly be so that your cargo always reaches timely and no damages are incurred along the way. This is why we constantly work towards bettering ourselves, so that we are able to serve your import from China to France needs in the best possible way, assuring 100% customer satisfaction always.